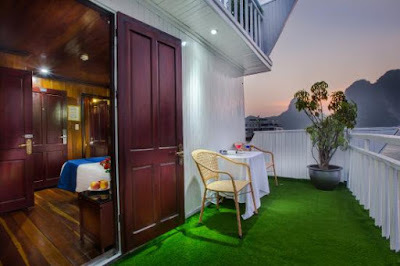 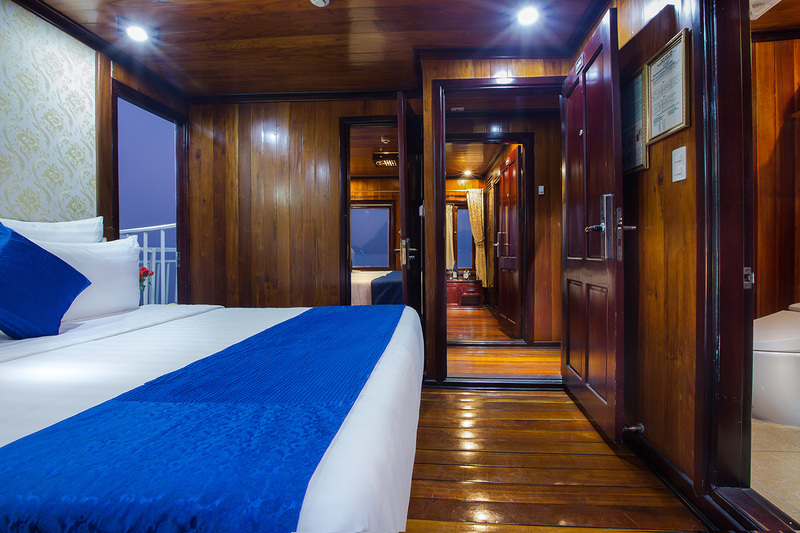 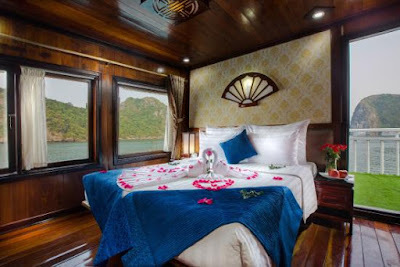 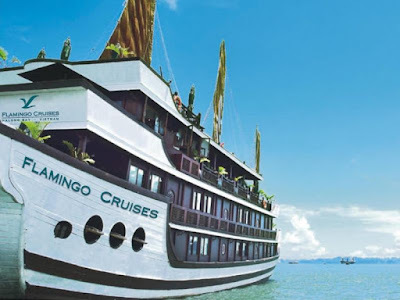 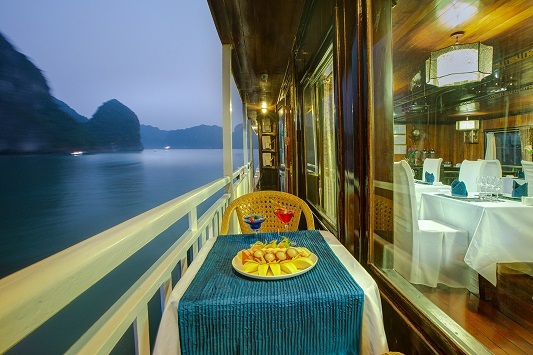 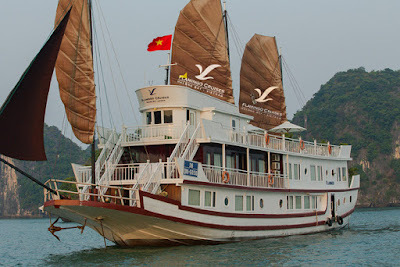 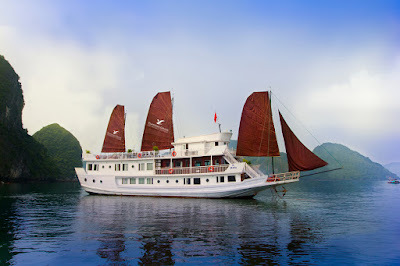 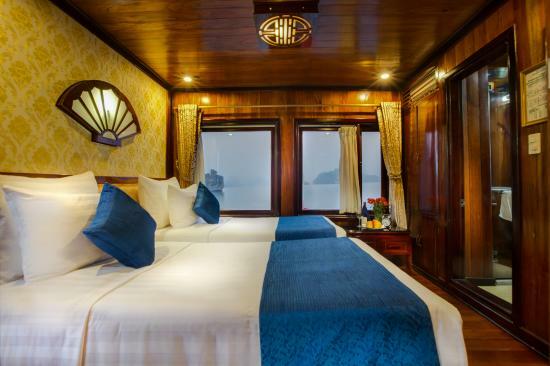 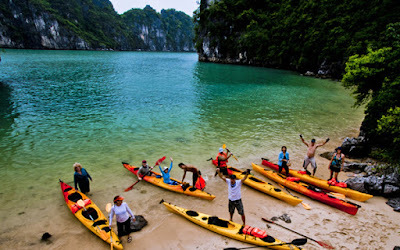 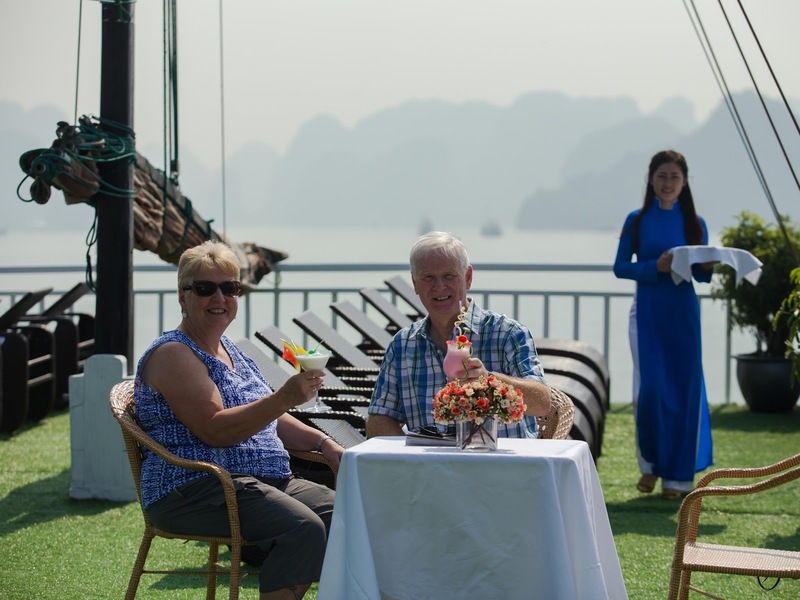 13:00: Enjoy a set-lunch while cruising via Bai Tu Long Bay to get to the Dark & Bright Caves. 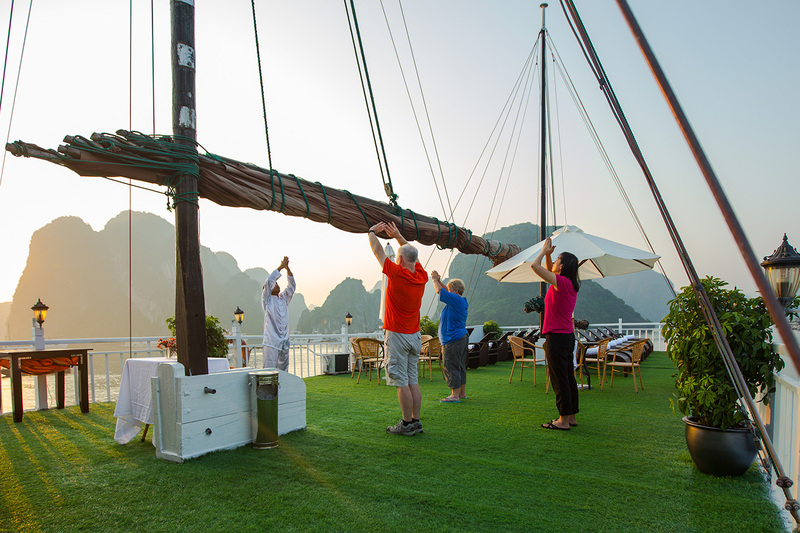 06.30 – 8.00: Tai Chi exercise on the sun-deck, awaken your senses by tranquil early morning of the Bay before breakfast. 08.30 – 17.00: Transfer into another boat for a full day kayaking, swimming and relaxing at Vung Vieng Fishing Village and Vung Ha Area. 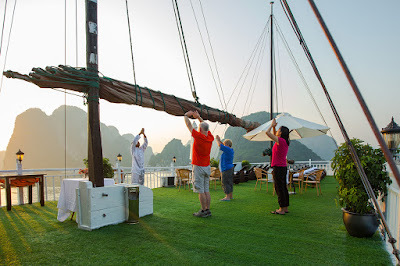 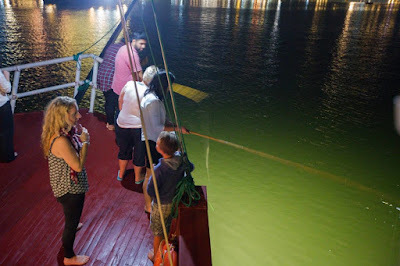 Wriggling around the maze of Bai Tu Long Bay before getting back to Flamingo Cruise. 21.00: Relax, join squid fishing or try a unique night time at our Top Bar.